After a positive start to the month pension annuity income is under threat after a fall in the 15-year gilt yields following the first manufacturing output decline this year and concerns over the nature of a recovery. Annuity rates are primarily based on the 15-year gilt yields. In the past two days yields are 8 basis points lower and as a general rule an 8 basis point fall results in a 0.8% reduction in annuity rates. Most people remain invested before taking their benefits and possibly by a pension annuity or fixed term plan and equities have also reduced. 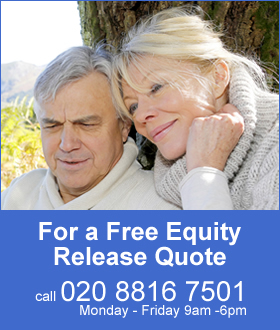 For those that have a fund that tracks the FTSE-100 index their fund is now lower by 1.8% to 6,738 and the combination of lower fund value and lower annuity rates reduces income in retirement. UK factory output has reduced for the first time this year by 1.3% according to the Office for National Statistics (ONS) after economists expected growth of 0.4% in May. Although the UK economy has recovered strongly this year any unusual data may hit investor confidence sending equity markets lower. As funds seek safe havens such as UK government bonds the price increases and yields decrease. Although this may be a short term reaction to an unexpected event, it can still have an immediate impact on someone retiring now with a lower fund value and income from a pension annuity. Our benchmark example for a person aged 65 with a fund of £100,000 could have purchased a single life, level annuity with an income of £6,143 pa. Since markets have reduced the fund would be lower at £98,200 and the income is only £6,032 pa today, a reduction of £111 pa or 1.8%. In terms of lifetime income, the Office of National Statistics (ONS) would expect a male to live for 17.3 years and he will have £1,920 less over his lifetime. For a female she can expected to live for 20.4 years decreasing her income by £2,264. This does not take into account a 0.8% reduction in annuity rates should the providers pass the fall in gilt yields directly to people retiring with lower annuity rates. 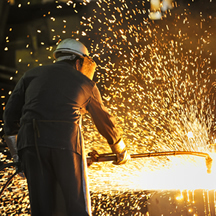 Manufacturing only represents 10% of the UK economy so the decline in output is unlikely to have a significant impact as there has been growth for the first six months of the year. However, economists were expecting a gain of 0.4% rather than a fall of 1.3%. This compares to the same time last year where manufacturing output increased by 3.7% in May following April with an increase of 4.3%. Although the Bank of England expected UK growth to slow down in the second half of this year the governor Mark Carney has not previously indicated any evidence of this occurring. Any further sign of a slow down such as in the service sector could mean the Bank of England would be unlikely to increase interest rates in the short term as suggested by some economists. This would mean people retiring may have to wait until the middle of 2015 before annuity rates improve further.